Sounds like a soldier abandoned at his duty station, right? Actually, what it means is that this month I'm lucky enough to have short stories in The Saturday Evening Post and The Strand Magazine. And there are three reasons I'm writing on that subject today: the first is a "Look, Ma--see what I did!" thing (otherwise known as BSP, with emphasis on the BS); the second is laziness (nothing is easier than talking about your own creations, since you're the only one who knows how and why they were written); and the third is that I couldn't think of anything else to write about, this week. Anyhow, those two stories, both of which are fiction, are different in several ways. For one thing, the first is short, around 2000 words (most of it takes place inside a plane parked on the tarmac of an airport), and the second is long, around 8000 words. Also, one is fairly easygoing and the other is violent. Besides all that, the first tries to make an observation about right vs. wrong, while the second is a twisty suspense story about murder, robbery, kidnapping, and a few other heinous deeds. In their own ways, I suppose both are mysteries in that they involve puzzles that the protagonist has to figure out--but only one of the two stories fits the generally accepted definition of mystery fiction, because only one involves crimes that are central to the plot. The only thing truly common to both stories is a rather unintentional "secondary" theme: One of the best ways to deal with the stressful seas of Corporate America is to hold your nose, jump over the side, and swim for shore. Being somewhat familiar with that theme in real life, I felt qualified to use it as a plot element in these stories. "Business Class," which appears in the current (Nov./Dec.) 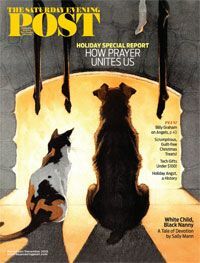 print issue of The Saturday Evening Post, is both a Christmas story and a fictional account of ethics and (the lack of) common sense in the modern-day business world. The antagonist, like Mrs. Robinson or Apollo Creed or Smokey chasing the Bandit, isn't really an evil villain--he's just an antagonist. He's there to prevent the protagonist from accomplishing what he needs to do. And the only mystery in the story is the "clue" that the hero discovers that allows him to complete his journey. This story, published on November 1 (at least that's when I received my contributor's copy in the mail) was also made available online at the SEP's website yesterday, December 4. If anyone's interested, here's a link. 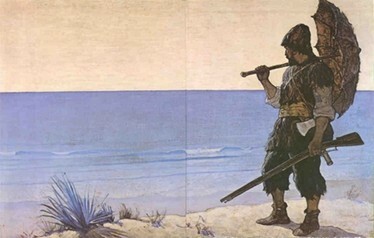 FYI, The Saturday Evening Post publishes one piece of fiction in each print issue (six stories a year). My other story, "Arrowhead Lake," is featured in the current (Oct.-Jan.) issue of The Strand Magazine, and with this one I'm on more comfortable ground: it's a crime story with a lot of action, and it's probably more of a thriller than a mystery because it involves ordinary people thrust into a fight-or-flight, life-or-death situation. In this story, which is actually quite a bit longer than a ditty, a successful businesswoman and her underachieving younger brother face off against a couple of ruthless home-invaders with hidden agendas, who do little to hide the fact that the victims probably won't survive to see the end of the tale. What finally happens comes as something of a surprise to both the bad guys and the good guys--and, if I'm lucky, a surprise to the reader as well. A most pleasant surprise to me was that this issue of The Strand also contains a never-before-published short story by a fellow (and slightly more famous) Mississippian named William Faulkner. In fact, Strand editor Andrew Gulli has managed to unearth and publish quite a few of these long-lost manuscripts lately, by authors like Tennessee Williams, Mark Twain, F. Scott Fitzgerald, John Steinbeck, etc. The first I heard about this one was an interview with Andrew on NPR that aired the other day, in which he talked about the new issue. 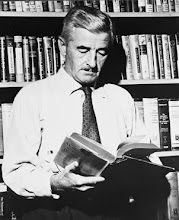 I picked the magazine up at our local Books-A-Million this past week and just finished reading the Faulkner story--I think you'll like it. And I hope you'll like mine also. The Strand usually publishes four or five pieces of fiction in each issue, and this one includes interviews with Dean Koontz and A. E. Hotchner. I was also pleased, during a trip to Kroger the other day, to discover one of my stories in Woman's World. (The contract always names the issue in which they expect the story to appear, but that sometimes doesn't hold true, so I usually find out for sure by hearing about it from one of my e-friends who has a subscription or from spotting it myself on the newsstand when I go to the store for necessities like Oreos or potato chips.) This story, my eighth in WW this year, is called "Strangers on the Block," in the December 7 issue, which went on sale on November 26. For those of you who are unfamiliar with this market, WW publishes one mystery and one romance in each issue. You can probably guess which genre I prefer. A quick note about Woman's World mini-mysteries. They really are minuscule (700 words max), and since the "solve-it-yourself" format was introduced in 2004 they are always interactive, featuring a puzzle and an upside-down "solution box" that allows the reader to try to supply the answer. In my story this time, the amateur sleuth figures out which of the three suspects is the guilty party, and the reader's challenge is not whodunit but howdidsheknowwhodunit? Several of my present and former co-conspirators at SleuthSayers--B. K. Stevens, R. T. Lawton, and Deborah Elliott-Upton, among others--have sold to WW, and they'll vouch for the fact that writing those little mysteries is a lot of fun. As I have mentioned before at this blog, 2015 has been kind to me, writingwise. I'm sure the Law of Averages will soon catch up to me, but meanwhile I'm having a great time. One of the best things to happen to me this year, on the literary front, was having three of my writing buddies--B. K. (Bonnie) Stevens, Barb Goffman, and Art Taylor--join our infamous group here at SleuthSayers, and the other was getting the chance to finally meet Bonnie and Art face-to-face, along with fellow SSers R. T. Lawton, David Dean, and Rob Lopresti. And to see and visit once again with longtime friends Barb, Dale Andrews, and Liz Zelvin. Here's to a good year for all of us, in 2016. Congratulations on your stories! Especially for your great run with WW! Thanks, Janice. I do think writing stories for a lot of different markets is one way to keep the story-creation process from getting old. There's a world of difference between a lighthearted little puzzle and a long, complicated crime plot, and going back and forth between the two can be fun. Congratulations on all three of these new publications, John! John, your ability to succeed in many venues is inspiring. When I grow up, perhaps I will be like you. Grinning. I can dream, can't I? Congrats all over the place! Thanks, Josh! Congrats to you as well, for all your recent successes (including MANY stories at EQMM). And you too, Eve--you're still way ahead of me at AHMM, not for my lack of trying . . .
Susan, you're too kind--many thanks. Best of luck to you at WW--keep writing those! Wow, John, that's truly an impressive line-up! Congratulations are in order. Well done, Mr. Floyd...well done. Congratulations, John. I don't think you need to worry about the law of averages. Quality shines through, and finds its recognition. You make us all proud. John, congratulations on bringing such a successful writing year to such a triply impressive end. I have a feeling 2016 will brim with accomplishments for you, too. And thanks for inviting me to join SleuthSayers--it's an honor to be associated with this group, and it's also a lot of fun. (Provided, of course, that I actually get my post for next Saturday finished--but I'm working on it, I'm working on it. )I loved meeting you at Bouchercon and hope it won't be long before our paths cross again. Congrats, John. And welcome, B.K.! Wonderful news about all three current short stories being published, John. But I'm not surprised at your success. Keep writing; keep submitting! Obviously, it's working for you. John so sorry to have missed your latest WW mini. I have to be more diligent checking for them. Looking forward to reading the SEP. Thanks for the download. Like Jan, I am not surprised by these successes. Keep 'em coming. Congrats on all three of these successes! You are obviously very talented. Best wishes. Fantastic, buddy! Way to go! Ah, John, the way you write, you could make a phone book sound good. It was nice to finally meet you at Sleuthsayers in Raleigh. That was fun! I just read the Post story… shades of Dennis Kozlowski! Knowing your sense of humor, as soon as I saw the title, I knew what to expect. Congratulations and well done, John. I've got to get the Strand issue! I just read the SEP story. Very nice, John, as usual. It has been my pleasure to join SleuthSayers this year and to share screen space with you and my fellow short-story lovers here at the blog. Season's greetings to you and everyone. Yes, John. May 2016 be a blessed year for both of us. To David, Larry, Bonnie, Dale, Jan, Herschel, Jacqueline, Dixon, R.T., Leigh, and Barb--thanks so much for the kind comments, my friends!! I've been at a booksigning for most of the day, and we're off in a few minutes to a family gathering, so I apologize for not responding to each of you earlier. For those of you who write the short stuff, may all of our editors be especially receptive to our submissions over the coming year. I hope to see all you guys at the New Orleans B'con next fall! And to A. Nonni Muss--I just received your note--best to you as well. Thanks for stopping in! Congrats John! May your well deserved success continue to grow in 2016! Thanks, Judy--best to you and yours. Congratulations on your three stories, John. And thank you for your generosity in your earlier posts on how to write for WW, though I've never been able to crack that market. I enjoy your stories and hope to see more. Hey Susan. Thanks for the kind words! As for tips on how to write for WW, I wish there were some magical rules we could all follow for success in any market. Anytime I start thinking I've got it all figured out, I always get a slew of rejections that remind me I don't yet know what the hell I'm doing. But I keep trying. Best of luck to you in all your literary endeavors! Adding my congrats, John. You'e an inspiration. You too, John L!--Thanks for checking in. Please keep me updated on your literary projects. Congratulations on your wonderful successes. I just read your SAT EVENING POST stoty and liked it a lot. May 2016 bring you and all of us endless exciting news. How kind of you, Jan! Thanks so much. Best to you as well!